The Samsung Galaxy Smartphones has gone up for purchase and Jio is luring customers by offering buyback guarantee, data benefits and more. 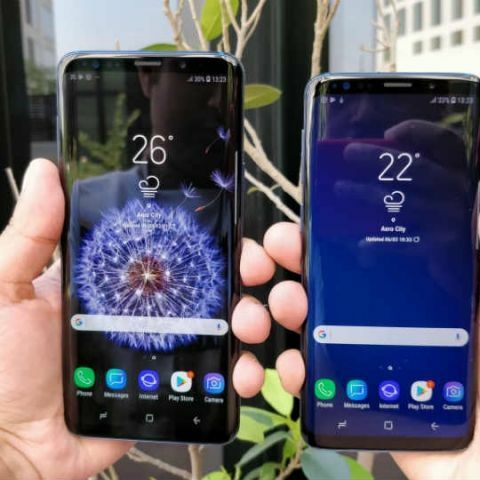 Samsung Galaxy S9 and S9 Plus are up for sale in India and Reliance announced that the 256GB variant of the Galaxy S9 Plus will be available from their Digital stores, Jio stores and online via Jio.com, with some lucrative offers. The smartphone is being offered with a 70 percent buyback assurance along with up to Rs 6000 cashback at the company's stores. For availing the 70% buyback offer, consumers have to be a Jio subscriber and perform a cumulative minimum recharge of Rs 2500 within 12 months. They can also opt-in for an exclusive Jio offer worth Rs 4,999 on the Galaxy S9, S9+ and avail 1TB of High-Speed 4G data along with unlimited calls and SMS for one year. Additionally, the users will also get a complimentary Jio Prime Membership under the offer. Reliance Digital customers wiil also have an EMI option for purchasing the device with up to 12 months tenure on the Samsung S9+ 256GB. Reliance Digital exclusively launches the latest phone from the Samsung stable - Galaxy S9+ (256 GB) at their stores with a 70% future buyback offer. Mr. Kaushal Nevrekar, CMO Reliance Digital, Mr. Mohandeep Singh – Senior VP Sales Samsung along with acclaimed actress Ms. Radika Apte launched the new “Samsung Galaxy S9+ (256 GB)” at the Reliance Digital store in Infiniti Mall, Mumbai. Reliance Digital has always been a go to destination for technology. The exclusive availability of Samsung Galaxy S9+ (256GB) phone at Reliance Digital stores in modern trade format coupled with 70% future buyback reiterates Reliance Digital’s commitment to bring the best in tech for consumers. Reliance Digital is currently also offering up to 6000/- cashback at its stores. The Indian consumer is evolving and so are his needs and expectations from electronics. Reliance Digital understands this and helps its consumers in personalizing technology. Along with the exclusive S9+ (256 GB), Reliance Digital will also house the complete range of S9 & S9+ phones which can be experienced live/in person. The newly launched Samsung S9 &S9+ stands for revolutionary camera that adapts like the human eye. The camera which comes with dual aperture also has an array of features like super slow-mo, so that you don’t miss any special moments of your life; AR emoji, real-time translation, etc. The latest offering of Samsung S9+ (256 GB) is available at all Reliance Digital & Jio Stores across India as well as on www.jio.com. To avail the 70% buyback offer, consumers need to have a Jio connection and do a cumulative recharge of minimum Rs. 2500 within 12 months from any of the available Jio plans. Consumers can also opt for an exclusive Jio offer on Galaxy S9, S9+ wherein users on Jio get an exclusive offer of 1 Terabyte of High Speed 4G data along with unlimited voice & SMS for one year worth Rs. 15,000 at only Rs. 4,999. With this plan, the users can enjoy uninterrupted video, without any daily data usage limit. Additionally, the users are entitled to complimentary Jio Prime Membership as a part of this plan offer. Reliance Digital customers would also find up to 12 months EMI on the Samsung S9+ 256GB along with an array of finance partners.